After so much anticipation of the song, finally the song is out. 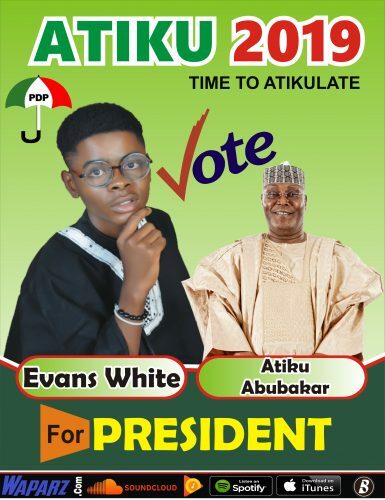 Evans White alternatively know as Skyprince is here again with another interesting and mind blowing song titled “Atiku 2019”. This song is dedicated to Former Vice President Atiku Abubakar, who is now running for the office of the President of Nigeria year 2019. The song was mixed and mastered by Elkiss pro. Stream and download this song below. U- unwavered umbrella of a new change! !